What Is the Narragansett Home Market October 2016 Up To? The Narragansett home sale market has picked up its pace with sales up over the prior month. Home sales are up by 46% month over month. In Narragansett, RI coastal real estate home values are up too by 6% for year over year for the first ten months of 2016 over 2015! Why does Narragansett command a higher dollar value per square foot of home sold as compared to neighboring towns? This is a fact out of state buyers have difficulty understanding. You are nearly surrounded by the ocean...this oceanfront, beach access, beachfront and nearly walk to water community commands the dollars because of the ocean. In buyers minds, it is that amazing location that is so different that increases the dollars for every house here. Land here is at a premium cost also. Go to Narragansett Home Sale Update October 2016 for a full discussion of what is happening in this oceanfront home sale market on www.RIHouseHunt.com. 35 homes were sold this month in Narragansett. Overall, homes in all price ranges if priced well are the hot home commodity here but the over $400,000 market is hot. It is the beginning of fall and the buying enthusiasm is still active. I know this Narragansett town so well having lived in it for many years, loving its beaches and know the neighborhoods and best buys well. Email me at RiByTheBay@gmail.com or call me, Ginny Gorman, Narragansett real estate agent at 401.529.7849 when you are ready to market your home or buy in this Narragansett town. Having the right representation is the key to successful buying or selling. Let me earn your business and trust with strong marketing and negotiation skills. Ginny Lacey Gorman is your go to Narragansett Rhode Island waterfront and luxury real estate agent for southern RI real estate and beyond…knowing the geographic area, schools, happenings and important tidbits of local information. 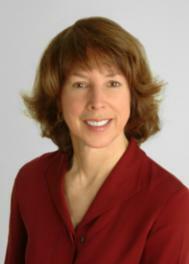 Email her at Ginny@RiHouseHunt.com to make an appointment to discuss your real estate needs. Waterfront, oceanfront, luxury and coastal Rhode Island real estate are my specialty but all of RI is my backyard. When you are in need of a real estate professional and specialist for your buying, selling or relocating needs and an internet savvy agent who sells RI houses in this real estate market, call Ginny Gorman at 401.529.7849 today. Where Are You In Real Estate Today?